(From L to R) U.S. 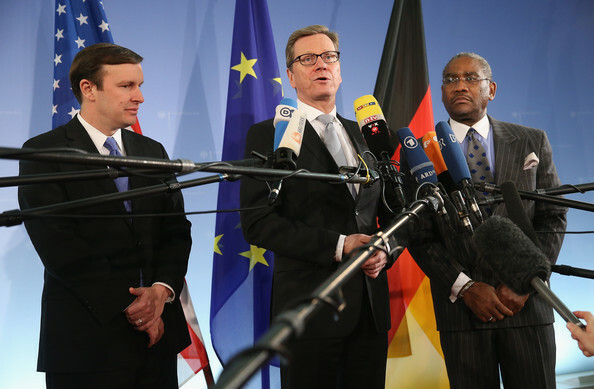 Senator Chris Murphy, German Foreign Minister Gudio Westerwelle and U.S. Congress member Gregory Meeks speak to the media at the Foreign Ministry on November 25, 2013 in Berlin, Germany. The two American officials are in Berlin in an effort to mend relations between the two countries that have been under strain since revelations that the National Security Agency (NSA) had eavesdropped on the mobile phone of German Chancellor Angela Merkel over a multi-year period.